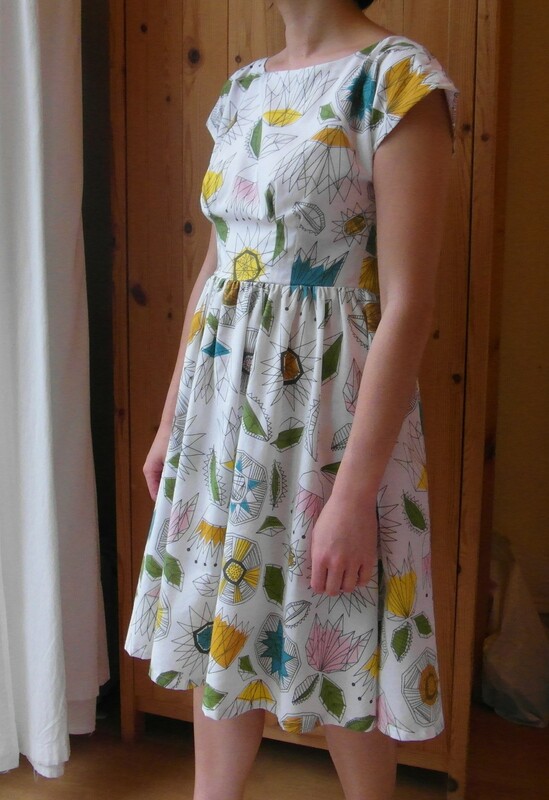 In honour of Sewing Indie month I made the Anna dress from By Hand London. This is my favourite dress to date. I think my favourite dress is always the last one I’ve made. I’m a big fan of BHL’s sassy patterns and was inspired to make a gathered version after seeing Paunnet’s and Dolly Clackett’s gorgeous creations. I learnt a lot about my body shape and posture in the making of this dress. I discovered I have rounded shoulders, probably from hours of toil at a computer screen, a hollow chest and narrow back. It took three, yes THREE toiles to get the bodice right. I went for the size closest to my bust measurement and cut a UK 14. 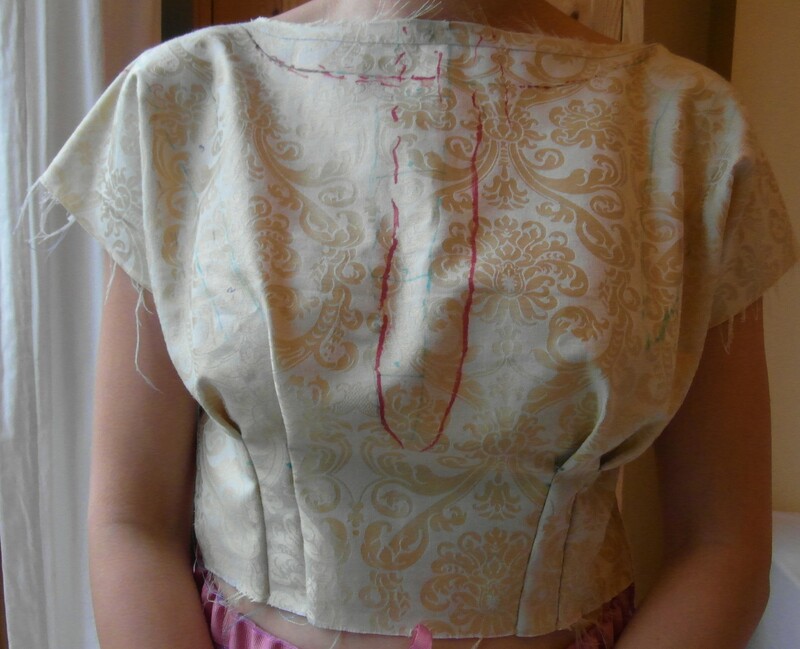 My first bodice toile had a lot of excess fabric around the chest but fitted perfectly around the bust. 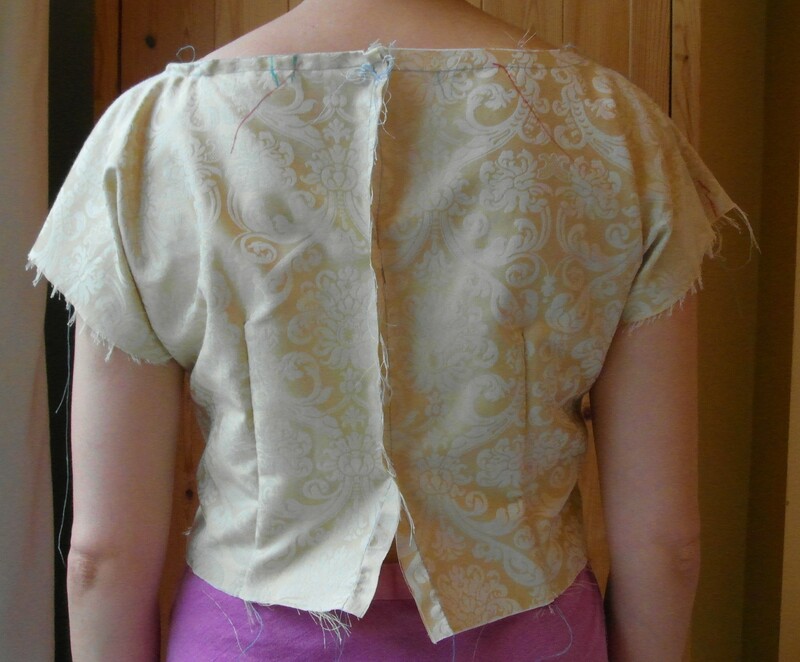 The back was a mess too with fabric pulling from the back neckline down to the arm hole and I had a gaping neckline. What to do? For some reason I thought I’d be able to sew this straight off with few alterations. Doh! I consulted the web looking for answers and was given hope by Sew me Love’s efforts in fitting her Anna bodice. So I wasn’t the only one having a bit of a mare with the fit. However her suggestion to fold out the excess horizontally across the bodice didn’t remove fabric from where I wanted it. After more googling, I came across a post from phat chick designs whose pattern alteration seemed to be the solution to my excess fabric problem. What’s more her description of her upper body matched mine exactly. 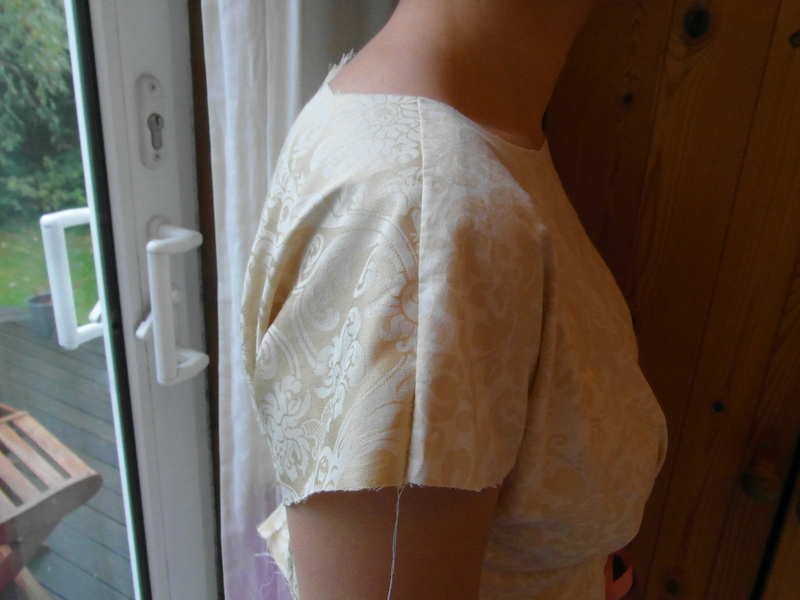 Although I needed to pinch out 3.5 cm from the front neckline I used method one. I probably should have used method 2 as I was removing more than the recommended half inch but I was feeling reckless. Here’s a run down of the alterations I made to toile no. 2. 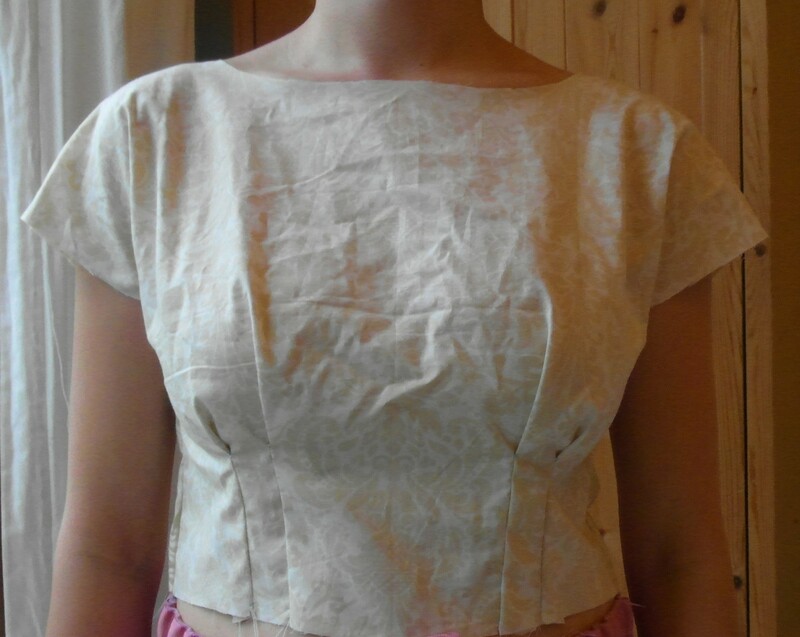 I think I have broken every pattern cutting rule in the book but what the heck my second toile fitted much better. I noticed my shoulder seam was sitting too far back so made a further adjustment. 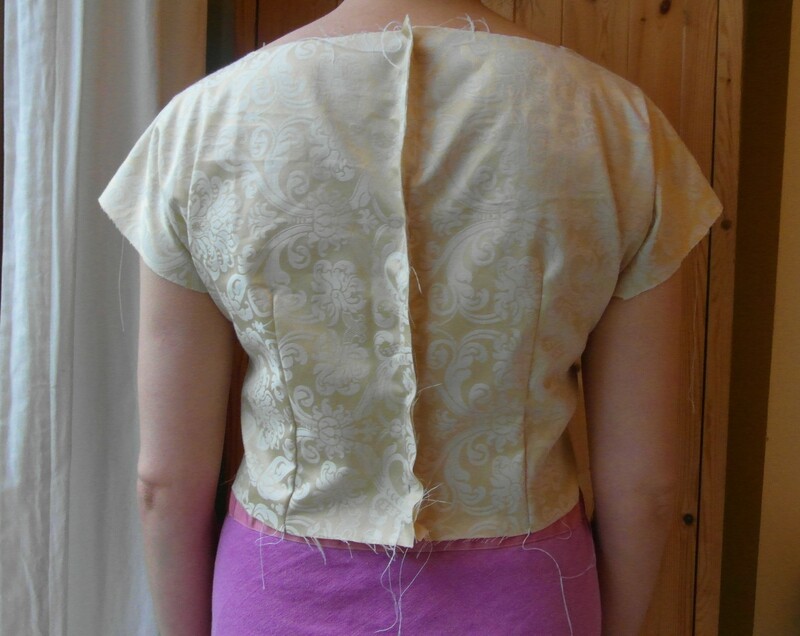 I removed 1 cm from the front shoulder seam and added the same amount to the back bodice. 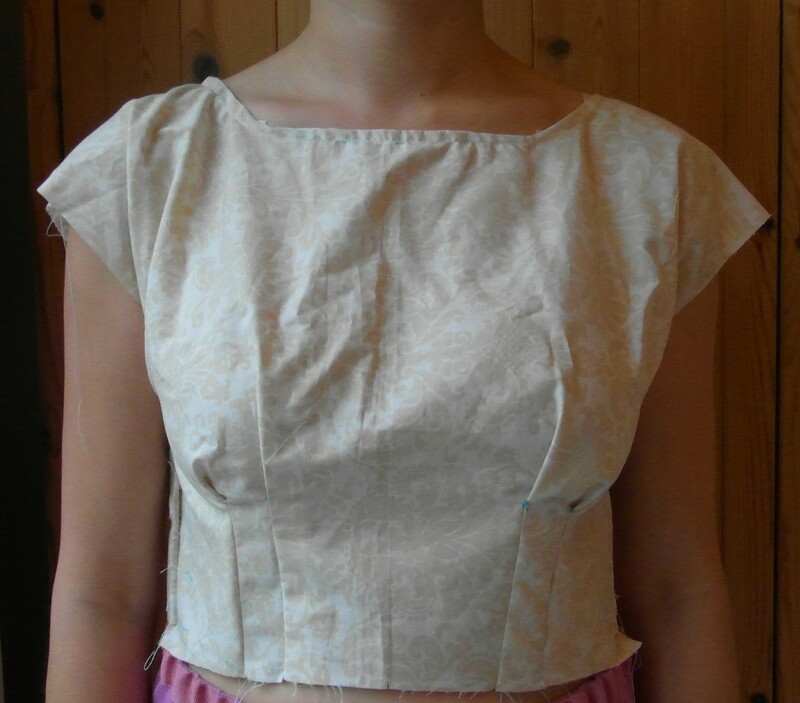 I made a third toile to check these alterations. Everything looked ok so finally I was able to sew. However my bodice alternations didn’t end here, oh no. I sewed up the dress but it was a little roomy at the waist. The bodice needed to be more fitted so I took in the side seams by 1cm at the waist line and tapered up to the arm hole. Luckily I’d sewn the skirt to the bodice with a long running stitch as I had a hunch further alternations might be needed. The skirt was taken in by 1cm at the side seams to match up with the changes to the bodice. I lined the bodice in white voile to brighten the colours of my dress fabric. I wish I’d lined the skirt too as the fabric is a bit see through in the light so needs to be worn with a slip. The sleeve hems were finished with a slip stitch. 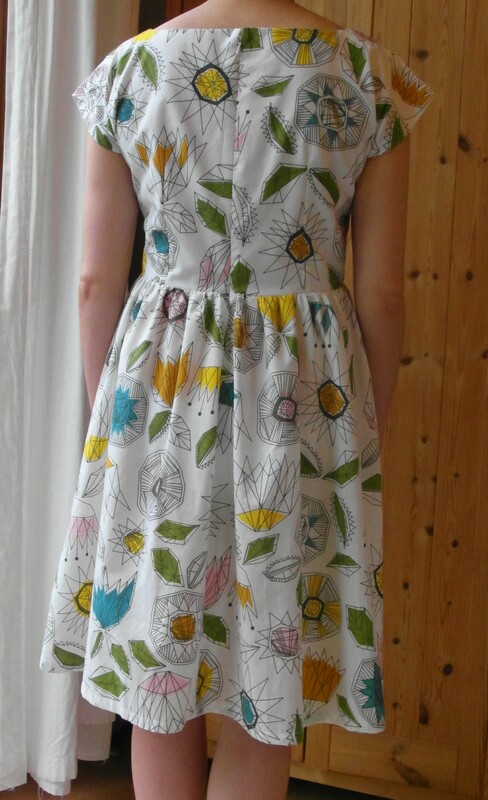 This is the first dress from a commercial pattern that I’ve made without the aid of a sewing tutor. 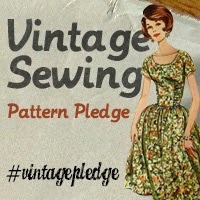 I been sewing for a few years now and this pattern would have defeated me couple of years ago. I’m come a long way in terms of my fitting skills thanks to all the wonderful resources posted by the sewing community. BHL’s instruction booklet was really clear and the pattern was a breeze to sew once I’d sorted the fit out. Despite going through three bodice toiles, the bodice is my favourite feature of this dress. The double pleats cup under the bust and make a really flattering shape. 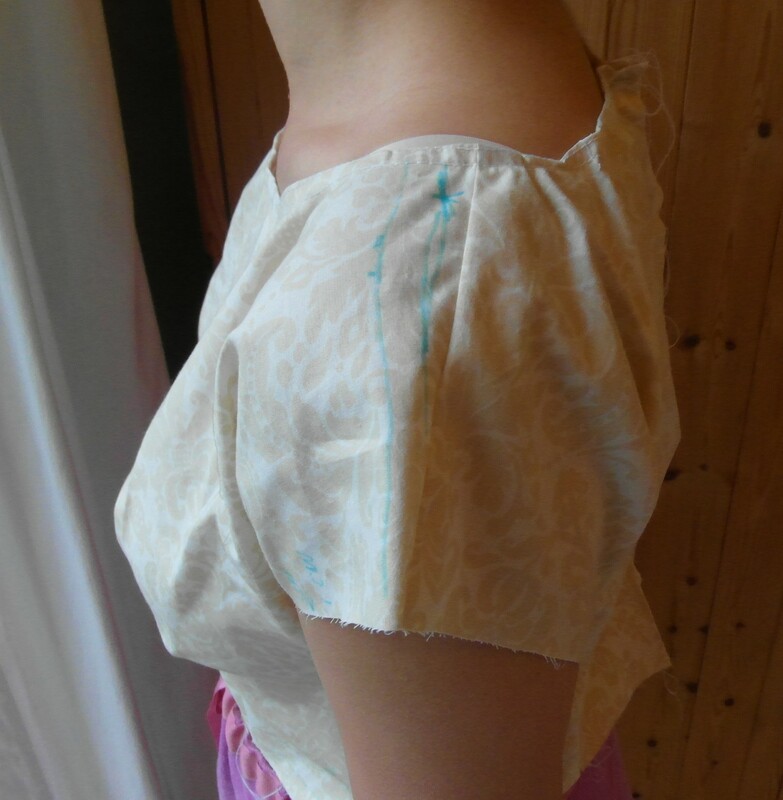 The kimono sleeves are not only simple to do but really sweet. The fabric is from Ikea. I’ve seen other people sew from Ikea fabric and have always wanted to say to incredulous eyes, ‘it’s from Ikea’. It’s relatively light weight for furnishing fabric but perfect for dress making. I fell in love with the print the moment I saw it. It’s reminiscent of the abstract designs by Lucienne Day. 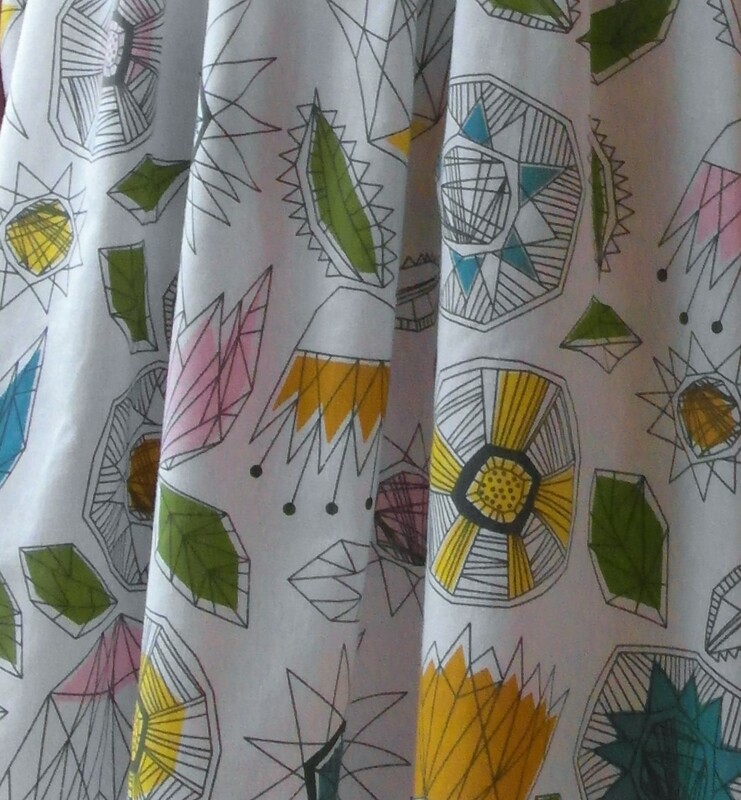 See my post here if you like her textile designs. The finished dress with its gathered skirt has a 50s vibe to it. I washed it the other day and the fabric dried crease free. Who doesn’t love a drip dry dress? Anna is a great pattern and want to make more. I wore it to the NYLon 2014 meet up where I saw many Annas in lots of lovely fabrics. I’d take a punt it was the favourite blogger pattern of the day. This entry was posted in Uncategorized and tagged Anna, By Hand London, dress, Ikea. Bookmark the permalink. I loved your dress at NYlon2014. Glad to see the alterations you made as I bought fabric to make one on Goldhawk. Thank you, wasn’t the meet up awesome. Glad you found the tips useful. Cute dress! I really like the fabric you used. 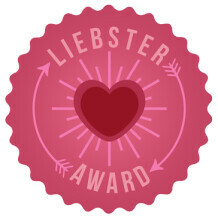 Thanks for entering it into the Sewing Indie Month sewalong. Because of how we’ll be picking the winner of the bonus prize, contestants can only enter a garment into one category, not multiple sewalong categories. Otherwise, they’d have more chances of winning than someone who only entered their garment into one category. In which category would you like to enter your pretty dress? No probs. 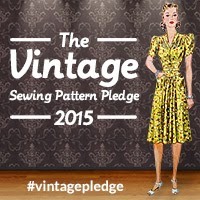 Please can I be entered for the pattern hack category.